"A good review and a good opportunity to meet and talk to other collections managers." "It met my expectations by getting more detailed about appropriate methods and providing resources for further research. It exceeded it by the great contacts that have been made." "I have a much better grasp of issues involved in collections management." "It was especially beneficial to see that we all have had the same or similar issues and to see how to go about trying to solve or improve situations. This is definitely one of the best workshops I have attended." "Many good ideas on different materials and storage." "The resources offered in the forms of bibliographies, web sites, vendors, and grant resources were helpful. [They'll] allow me to take further steps to rectify less than perfect situations within our budget restrictions." "I did not expect to get so many ideas. I was truly stimulated intellectually." "As someone who has attended many seminars, this one was by far the most helpful. I learned beneficial information regarding preparation and storage of collections. I feel much more prepared in the proper handling of collections prior to handing them over to a repository. Also useful was learning about the museum side of collection handling." 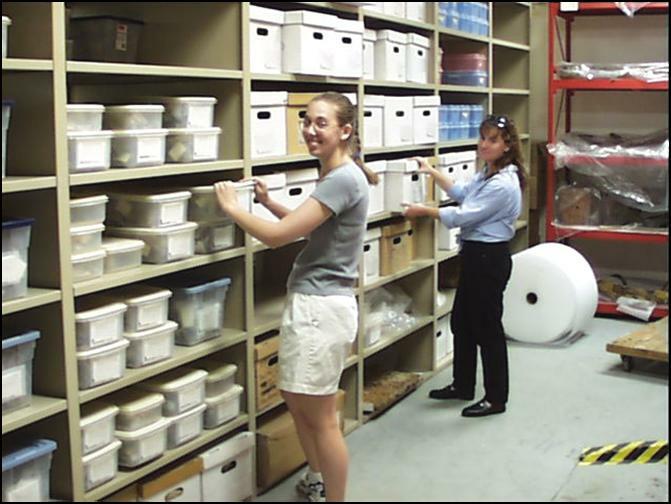 Managers responsible for archaeological collections; archaeologists; museum curators and administrators.